The dust has cleared, the grout has dried, and your shower is complete. It is time to relax and enjoy your new custom tiled shower for the first time. You’ve gathered up your favorite shampoo, your new loofah and stepped onto those cool, natural stone pebbles of your new shower floor, ready to let the stress slip away. 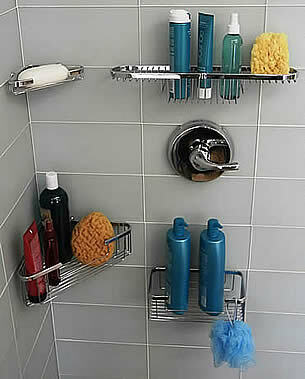 Just one problem…where will you set all the bottles, razors, and loofas in your new shower? It can be a major undertaking to remodel or plan a new tile shower, spending hours, time, and money to create a beautiful custom tile shower. What a bummer to realize you don’t have a space to store utilitarian showering accessories. Or worse, using an off-the-shelf method to store bottles, only to cover up the beautiful design you’ve been looking forward to. Finding storage solutions before installation will help create a safer and cohesive space. 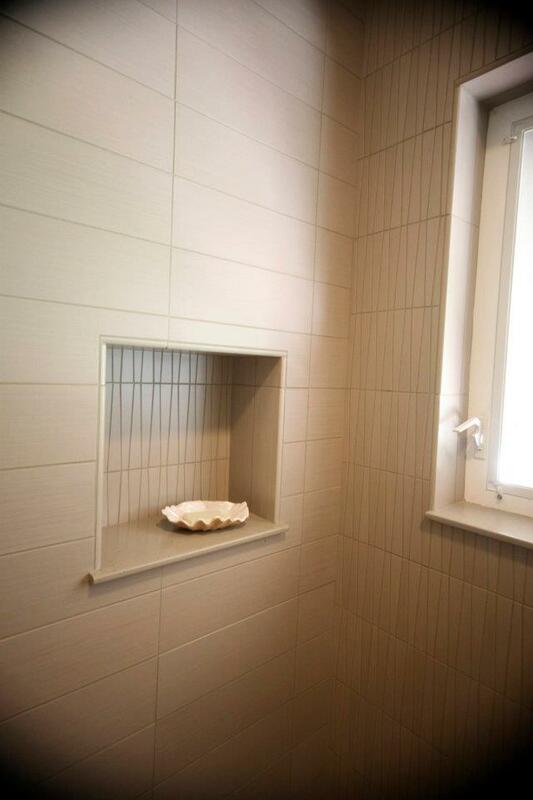 Traditionally, ceramic soap dishes and shelves have been applied to shower walls after installation, but color choices and materials have been extremely limited. Alternately, installers could spend extra time building out a niche space, but often would have issues with leaks and pooling. Installing a pre-formed recessed soap niche, such as the Recess-It product from Innovis Corp, allows installers to quickly mount the integrated piece (no seams to allow leaks), yet still install tile over the top to create a custom look that ties in with the rest of the shower. These niches can now become a focal point, rather than an eyesore in the shower, and best of all, they are recessed into the wall keeping your shower feeling it’s largest. Shallow Corner Soap, Combination, Extra Deep Corner and Extra Deep ShampooIf you’re looking for a smaller scale solution, TileWare Products offers a non-penetrating, non-intrusive system to attach their series of shower baskets to tile walls. Their product and mounting system is developed to allow a basket to be installed in the middle of a grout joint or the body of tile, before the shower is grouted. This helps eliminate problems such as punctured waterproofing, tile breakage, or plumbing issues that could arise from drilling into a finished tile wall. While you may not plan on sitting while showering now, a built-in bench can be a great option to make leg shaving an easier and safer task. Whether it be a corner seat or a bench running the length of the shower, Better Bench (made by Innovis Corp.) provides a quick-install product, made to withstand a wet environment and support up to 400lbs. During the planning stages of your new shower, its important to think about what your needs are currently, and what they may be in the future. If you’re building a walk-in shower, and are planning to stay in the same home throughout your life, planning now for the grab bars and safety items can save retrofitting headaches down the road.